All of the below information comes directly from job reviews written by MBDA employees based on 50 reviews. Make sure you research what your chosen department does before you apply to make sure it is the right choice. Just be yourself. Revise background on the company and practice the 10 min presentation a lot! - Keep your answers/CV to the point and well structured. - Try to match your experience with relevant skills as detailed in the role description. - Make sure you are aware of current events. 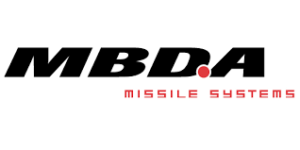 - (If possible) have a chat with someone who works at MBDA - may be at a careers fair or via LinkedIn. - Practice some competency based questions with your peers. - Brush up on your presentation skills. Don't be arrogant, the company admires good, honest people. The company is made because of the people so they want to see you'll fit into the family. Just show you've done some basic research in to the company background. Demonstrate why you want a career here as they'll want you to enjoy the job and stay at the company. It's hard to know what each role entails so clarify what the role you are applying is for and what you want. It is quite possible there is an alternate more fitting role. Be upfront and expand on team based questions where possible. Be fully honest as not to implicate yourself, as a graduate you are not expected to have as much experience or background knowledge as other recruits for different roles. Do background research on the company and have a good general knowledge of your degree topic as you will be asked to prepare a short presentation if you are successful in the aptitude test. This question will be relevant to the company but with decent research it becomes fairly simple to generate a solution to the problem they propose. Competency interview focussed on myself as a character interacting with others and as a result staff gathered a fairly accurate work ethic/profile quite quickly. Went in on edge and quickly relaxed as the interviewers were very friendly and weren't looking to penalise wrong or awkward answers. You will receive feedback from your interviewers so even if you are unsuccessful take it as an opportunity to develop. Look at typical 'competency based' interview questions. Be honest, the people who conduct the application processes are mostly engineers that you'd work with day to day, they're not there to catch you out. Practice competency based interview questions. Look into the correct approach to answer a question. Remember to sell yourself. Elaborate on your answers. Most of the questions were basic competency based interview questions that you could easily find on the internet. There was a technical question about differences between an aircraft and a missile. The idea was to look at the wider picture and explain general themes. Previous experience in finance is not necessary. The vast majority of current graduates hold Maths and Science based degrees. Your CV should be fairly standard but applicants often fall off on the application form, failing to put enough effort into the written areas. Be sure to take some time over it and tailor your responses to MBDA. It is obvious when a candidate has just taken something from another application and changed a couple of words. The presentation can seem daunting but it shouldn't be. It is a way to showcase your ability to convey a message in front of a group of people, while being able to confidently talk about pre-prepared material. The group task is showcasing how you deal with finding a solution with others in a time pressured environment. Read through the material carefully, and make sure one of you keeps track of the time. Do your research on the role, company and why you think you are the best candidate for the job. Be yourself, confident and be able to sell yourself. Revise competence questions and technical questions based on your role. All MBDA projects involve teams, be able to demonstrate and give examples that you are a team player. Standard interview questions - Tell me about the company, Tell me about yourself, Why do you think you are the best candidate for this job. A lot of competence and technical questions. Be flexible as you will be put to work on things you may not have experienced before and will have to build up competency quickly, but also keep in mind that it is very easy to ask for help here. Stay relaxed. You will most likely take part in a group activity, do not try to compete with the other candidates. If you present, just try to understand your materiel well enough that if they ask a question you can answer, but also don't try to answer something if you really aren't sure. Research the company prior to interview, know about the grad scheme, know about your area of expertise and be confident. Typical interview questions - role specific technical questions as well as behavioural type questions. Ensure you research the role and the company as a whole. Be prepared to answer normal competency questions and have scenarios prepared where you have displayed certain skills. In the technical interview you may be asked a basic technical question. It is nothing to worry about and is usually a high level technical question that requires applying basic engineering principles. Be honest and be sure to mention not only your academic achievements but what you have done outside (e.g. Formula Student, STEM, personal projects, sport etc.) of your academic achievements that would show you are the right person for the position. If you are applying for a role in something that you did not cover at university then do not panic, the interviewers are aware of this and understands what level of knowledge and background you would have about the subject from university and so pitch the interview accordingly. Research the company, look into the international split of workforce as well as the national one. Look at the schemes and projects that MBDA supports in and around the local community. Know about the main company products and do a bit of reading around the general defence industry. Know what you are applying for, there is potential for movement around the company but it is much easier to try and join in the right place straight away! Do company research and general research into missile systems as a whole and the rest is pretty self-explanatory. Demonstrate your ability to learn, don't just focus on academic achievements but understand that in the workplace soft skills are at least equally important. Standard competency based questions. Tell me about a time when you demonstrated team working skills? etc. There was nothing unusual or non-standard about the assessment day. 1) A presentation, the subject of which I was told 2 weeks before the interview date. 2) A mixture of a competency and traditional style interview. State that you have an interest in what we do - research some of our kit and show enthusiasm for the company. Once you get to the interview/assessment day stage they already know you're competent so you only have to sell yourself. I was given a bit of reading to do beforehand and was told that I would have to present something to do with the material (as well as other tasks). Do the reading and confidently present your outcome. During the group work make your voice heard and don't be afraid to grab the pen first and show your confidence/leadership abilities. Make sure your application is tailored to MBDA rather than generic and un-related answers. Interview questions vary and involve the usual competency based questions among other things. I also had a presentation element on a predetermined topic. Honesty, proof-read your application/cover letter well, don't worry if technical background isn't too strong as lots of training is a core element of the program. Come in having done your research, know what MBDA is/comes from/is owned by and what products we make. You don't need to be an expert, but enough to show you WANT the job. Show you are a rounded person, everyone in my intake was involved in extra curricular activities, travelling, sports teams etc. Try to relax (easier said than done I know), but a large part of the interview is assessing your personality. Your masters degree shows you're smart enough, so if you do get a technical question (which you may or may not) remember your basic principles on things like structures and thermofluids. In response to questions, answer them fully and with enough detail. Prepare for competency questions and do research on the department and company before the interview day. Scientific or Engineering backgrounds are equally sought for here, so don't be afraid to concentrate on either when applying here. If you're a scientist then talk about science, we love science! Keep it concise - MBDA may not be so worried about your mastery of grammar, but they do still want to see you've put some thought into your answers. Be honest - if you don't know an answer then say so. Your interviewers WILL know their stuff and they will call you out if you attempt to 'wing it'. By all means have a guess, but make it clear that you are doing so. Try to come across (or even better, be) approachable and enthusiastic - confidence is also good, but overconfidence can come across as arrogance - works in some companies, but not here. Learn how the company was formed. Make sure you do your research into the company. Do not be arrogant, you are not expected to know everything. Have some prior work experience which you can use to make your application a strong one. Everyone will have a degree, but it is about doing things which you can talk about to help distinguish yourself. Knowledge about the company is important - basic research is easy to do. Everyone is human so try not to be too nervous about talking to people. Make sure to highlight any distinguishing traits or attributes to set you apart from the rest of the applicants. Research the company and systems along with any current affairs the company is involved in. Don't forget to include everything relevant to show evidence of key skills (leadership/team-work etc.) such as jobs, volunteering, sports or even just repairing a bike shows technical understanding and being keen for the subject. Understand the company, do your research and familiarise yourself with some of the products, shareholders and a little bit of company history. Ask questions at the end of the interview and during assessment centre! The assessment day is not as intense as others, as long as you do sufficient preparation. They are trying to make you succeed and get the best out of you (unlike some companies). Don't worry about not knowing about Weapons systems. read the company website, understand general principles of type of work you might be looking to undertake. Attend the open days, and speak to the people there, get yourself known as being interested. Don't say your weakness is being a "perfectionist"
Be confident, professional and enthusiastic. Teamwork is key, whilst demonstrating your ability to also utilise your initiative and work independently will be recognised. Prepare strong examples to demonstrate competencies such as leadership, problem solving, challenging circumstances, etc. Be aware of evidence to support your examples and be prepared to justify your actions in response to probing questions. Don't feel pressured to answer questions immediately; it's ok to pause and gather your thoughts; a structured and composed response is better than waffling without clarity or purpose. Don't be afraid to say 'I don't know' if you cannot answer some technical questions; however be confident enough to attempt an answer providing it is clear, composed and reasonable. I think applicants need to ensure they have a good CV as at times I believe good candidates can be cut from the list due to poorly written CVs even though they would be very capable of doing the job. Time needs to be spent filling in the application form and answering the questions as fully as possible. Put in extra curricular activities you do that can kind of relate to the role you apply for, this may be participated in a society at university. Highlight extra curricular activities and how they make you a better employee. Make sure you understand the competencies and have examples ready for how you achieved them. Ensure you take part in everything the company has to offer. MBDA runs several charitable events a year from teaching children about engineering principles to running raffles, balls and other events for local charities. It's a great opportunity to help others, socialise and develop skills. 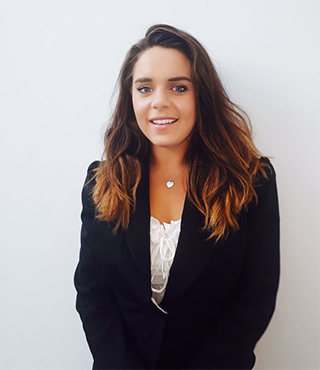 As well as the extra activities MBDA has dozens of technical roles over almost all areas of engineering and they encourage graduates to try roles they may not familiar with. This gives you the opportunity to learn things you may otherwise never have got the opportunity to experience. Be friendly and open, the interview process is fairly informal and they're mostly looking at you as a person rather than your technical skills. In group exercises don't focus on winning, but on being a team player, contribute to the teams plans and try and get people who may be a bit shy involved in the activity. Finally, in the presentation don't worry too much about tripping over your words or being nervous, that's expected, just ensure that you've researched the topic to a good standard and try to answer any questions you're asked. Fill out the application form as fully and detailed as possible, if a section allows you 250 words for your answer then use them. In addition to the traditional interview questions and the assessment of my technical knowledge, I was also asked to talk about occasions where I had demonstrated a particular competency. It is useful to have a few good examples prepared before the interview, especially those showcasing any qualities or skills that have been listed as requirements for the role e.g. communication, team work etc. If you get an invite to the assessment day make sure to be yourself, be honest and try to stay calm and composed. Competency based interview with limited technical questions. Include information about what makes you you. A large part of what they look for is how well you fit in the team not just your intelligence and work experience. Don't be afraid to ask questions. Half the time the obvious answer was what they were after. Show eagerness to learn. Be positive. Work on your communication skills, are you able to get across a point in a way that people can understand and relate to? Be interested, you do not need to know the details of every product we have. Just have a genuine interest for the company and the role. Cater your application to the role you are applying for. Before the interview; understand the company, learn about some of the products, and think about the challenges which face the business day to day. On the day be relaxed, everyone here is very friendly, down to earth, and approachable. Technical Staff will be impressed with your technical knowledge. HR Staff will be impressed with your extra-curricular activities. Sell yourself! Make sure you include anything in your application that makes you stand out from the crowd. Remember that the interviewers aren't out to get you, and they are probably just as nervous as you about conducting the interview. Relax, and if you aren't sure of a question you are being asked just be honest and tell the interviewer. In team activities don't just try to lead the whole session, remember you need to show that you care about the views, suggestions and ideas of the others too. Team work is a big part of working life at MBDA.